"It isn't just about work. This is my family," David Flynn tells me as he packs away equipment in preparation for the closure of this Remploy factory in Wales tomorrow. The place where he has worked for 35 years. He is, he says, without hope for the future. "There's nothing out there for able-bodied workers," he says. "So what am I to do?" But they are also seeing everything they have known disappear. Because for many here, this isn't just the end of a job. It is the end of their social life and social care too. As these last Remploy factories close, it brings to an end 67 years of state-run sheltered factory employment for disabled people. For some, it represents a long-overdue progression from paternalistic attitudes towards disability and work; for others an unforgivable betrayal. Tim Matthews, Remploy's CEO, is anxious to talk about the future and to stress that their support for disabled workers will continue. That they will now switch operations to help them find jobs in mainstream employment. But the past looms large today, as workers contemplate an uncertain future. All but two of the 62 workers at this Port Talport factory will be signing on next week, joining the unemployed. 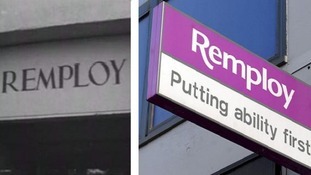 It is unclear how many former Remploy workers have found jobs. The Department for Work & Pensions says the figure is 1,300 out of 1,800. An £8 million package has been allocated to support them and 200 personal case workers hired to help. Others dispute their claims. But claims and counterclaims mean nothing to those worrying about life once the lights go out for good here tomorrow. The workforce here in South Wales is ageing, and unemployment high. "You can't value everything according to money," one worker told me. "What they provided here may not have produced a profit - but what it gave me was priceless."